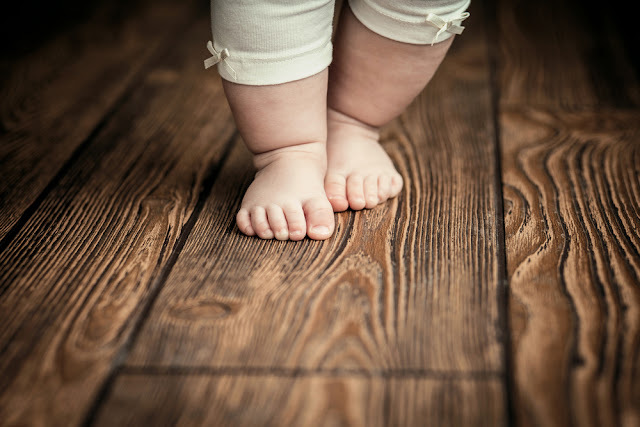 Choosing the right flooring for your kids rooms comes with a set of challenges of its own. There are many benefits of using parquet floors in general, however in this article we’ll focus on why it’s great for kids rooms specifically. Durable: Parquet floors are tough and they can’t easily be damaged. Even if they do get scratched, it doesn’t hurt the aesthetic appeal of the floor as it blends in with the natural wooden texture. In case you really want to mask the damages, all you need is a bit of sanding and voila, good as new! Easy to clean: If there’s any spills on a parquet floor, it can easily be cleaned with a moist cloth or vacuum cleaner, which is more difficult with carpets and rugs although they also look beautiful. Non-allergic: Parquet flooring can be easily cleaned and it doesn’t harbour any insect fugitives. It's warm: Kids will play / move in their room on different types of footwear, but we all know they will also function on their socks or bare feet. When it's cold outside, it is a nice feeling to enjoy the warmth of wooden flooring. Aesthetic Appeal: Wooden flooring generally imparts a sense of warmth to the rooms it’s installed in. Furthermore, wooden surfaces have always been closely associated with ideas of homeliness and luxury. However, parquet floors take that general aesthetic appeal and crank it up with intricate geometrically patterned designs. Budget-Friendly: It might sound like parquetry is only for the happy few, however if you make the calculation, you will see that parquet is on the same price-level as other flooring solutions. Taking into account the advantages and benefits of parquet, it is a perfect solution for the kids rooms. Invest smartly! Creative design flooring: Parquet comes in a lot of different types, finishes, etc, and gives a wide variety of designs. Mainstream or exclusive design: it's up to you to realize it ! In addition to these benefits, installing parquet floors is also an environmentally conscious move. This is because using wooden floors is great for the environment as it consumes less energy, is recyclable, and reduces greenhouse gases in the atmosphere. Caution: When you’re installing parquet floors, you should also be wary of being duped and being sold non-solid wooden floors, with the look of wood. Make sure you purchase parquet flooring with a real wood label.